If you are reading this, you have either already started your healthy eating plan or are about to, and are eating lots of delicious fresh fruits, vegetables and whole foods. You understand why you should be eating less processed sugar packed into the bickies, bottled juices, baked treats and soft drinks. The question is …. do your kids understand? How do we teach our children about sugar and how much or how little they should eat each day and why? “Why is sugar bad for me Mummy?” is a very complex question to answer even for an adult, so trying to explain it to a child is even harder so we’ve broken it down in some simpler questions. When talking to kids about sugar it is interesting for them to understand what it actually is, where it comes from and what it looks like. Here are a few…. White table sugar is what we commonly think of as sugar. It comes from sugar cane which is a plant that is grown in the ground. It needs a lot of sun to grow and it is mainly grown in Queensland in Australia. Maple syrup is made from the sap of the maple tree. Brown sugar, which is made from a combination of white sugar and molasses. bread and pasta in the form of starches and carbohydrates. These foods do not have added sugar because the sugar is found within the actual food. 2. Why is sugar in fruit better than the sugar in a piece of cake? There is sugar is all different types of wholefoods, which we eat everyday. Like the sugar in fruit or the sugar in bread or pasta. These sugars are attached to other compounds within the food which make them more helpful to our bodies when they are breaking the food down and using it to fuel our body and rocket ship. The sugar found in a piece of cake or a lolly is added to the food, and therefore not attached to the compounds like in fruit or in rice or pasta. This means that our bodies use these sugar too fast, so it’s not as efficient as other fuels. Our rocket ship burns through this sugar so quickly and it doesn’t give us long lasting energy. Too much of it can start to hurt our rocket ship too and not create enough space for the right fuels. It can also lead us to preferring sweet or sweetened foods which aren’t always the most nourishing or fuel efficient foods for ourselves or rocket ship. 3. Why do we need to fuel our bodies? We need to think of our bodies like a rocket ship or a car. What fuels our car? Petrol. If the car or rocket ship does not have the right petrol it will not be able to drive or fly to the moon. The best fuel for our bodies is a varied combination of vegetables, fruits, whole foods such as rice, yoghurts, milk, nuts, seeds, legumes, pasta, lean proteins and healthy fats. When we are fuelled well, we drive or fly fabulously. If we like, we can then paint ourselves with some pretty colours or give ourselves new car rims. They don’t help us fly, or drive, but they are fun to enjoy with our friends, like cakes or chocolate. 4. Why is sugar not good for me? Sugar itself is not bad for you. It is the types of sugar that you eat and how much and how often you eat it which can make it a good or bad choice. So sure, you can eat sugar or food with added sugar in it, but only after you have fuelled yourself well with every day whole foods. 5. How much added sugar can I eat each day? This depends on where the recommendation is coming from, but if it is from the World Health Organisation or WHO, they recommend no more than 10% of our energy requirements come from added sugar each day. In fact 5% is probably a better target. Have a look at some common foods and how much added sugar are in them. 1 slice (140g) of banana bread has around 8.7 teaspoons of added sugar in it. A vanilla pouch of yoghurt has around 2 teaspoons of added sugar generally in it. A giant chocolate frog has around 4.5 teaspoons of added sugar in it. An apricot chewy muesli bar has 1.7 teaspoons of added sugar in it. A chocolate milk (125ml) has 1 teaspoon of added sugar in it. An apple juice (125ml) has 3.5 teaspoons of sugar in it. This one is tricky because although it is technically from fruit and sugar isn’t added to it per se, the way that a juice behaves is like added sugar as there is no fibre alongside the sugar anymore. 6. 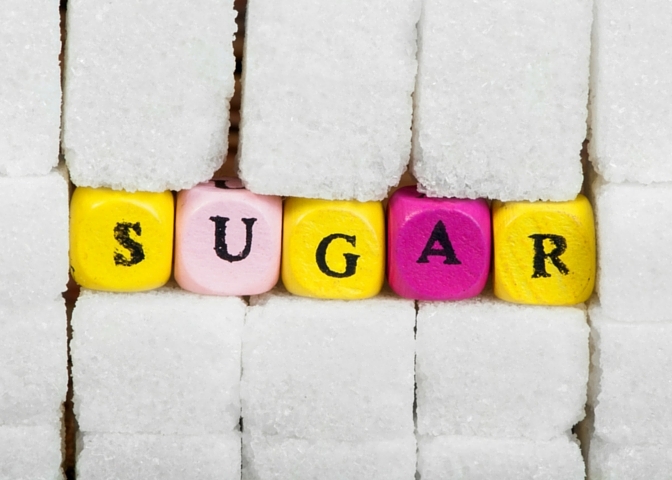 Will too much sugar make me sick? When you go to birthday parties, how do you feel after eating lots of cake and lollies? How do you feel an hour after you have eaten these foods? With any food it is important to talk about and pick them up on how they might be feeling and discuss whether those feelings we helpful, positive or happy or whether they made them feel unwell, tired, agitated or lethargic. 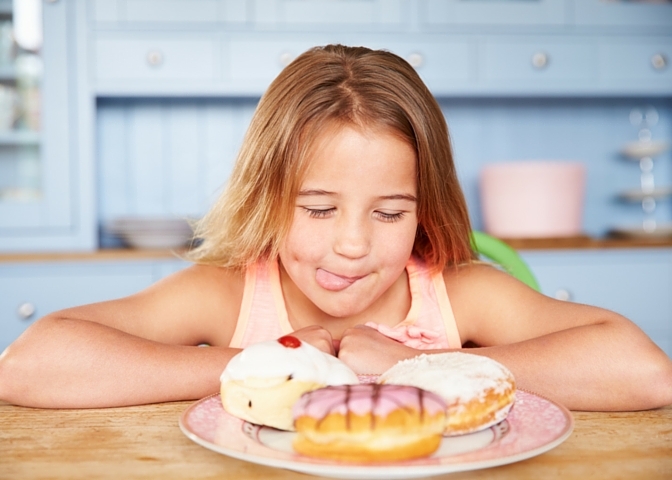 Children need to understand and recognise these feelings so that they can communicate themselves and so they know what the consequences are of overeating on sugary foods. You can also talk to your kids about how if you eat too much sugar, too often, it is linked to getting sick later in life. For younger children it is important to not scare or confuse them in regards to names such as type II diabetes, cardiovascular disease and even cancer, but to talk more in their own terms such as not being about to run and play with friends, not being able to walk up steps because you cannot breathe properly. 7. Does sugar make me fat? This is a very delicate question and one which I actually don’t believe should be spoken to with young children. 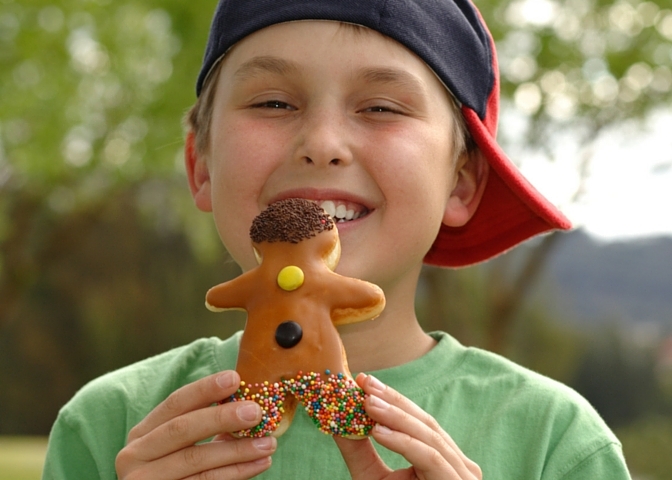 It is important for them to understand that eating too much of particular sometimes foods can lead them to being less healthy or might make it harder to climb trees or run around in the park, but to talk about fatness, is not appropriate and can be damaging to a child’s perception of themselves and others. The phrases such as a healthy weight or a healthy size; being strong and fit and being able to play are more appropriate and your child will understand this terminology easier. For our own understanding, does sugar make you fat? Well it is a complicated response. Yes, technically some sugar can be turned to fat in a process called gluconeogenesis, but does this readily happen in humans? No. What does happen though, is our body uses glucose or sugar as the first point of call for energy. If you eat too much sugar, your body doesn’t get to the protein or fat for energy, and fat will hang around and cause problems. Fat also has more energy per gram than sugar or protein and it also has the endless capacity to grow. Again one of the reasons why it is tricky. When talking about any food groups or food it is important to ensure there is no fear or demonising associated with it. Food is an important part of our lives, and no food should be thought of as evil or create guilt in any age group, mothers or even children. It is helpful if the conversation around sugar is in a non-threatening, relaxed environment. No demanding, threats or bribing. Food, including sugar, is here to fuel our bodies and for us to enjoy. 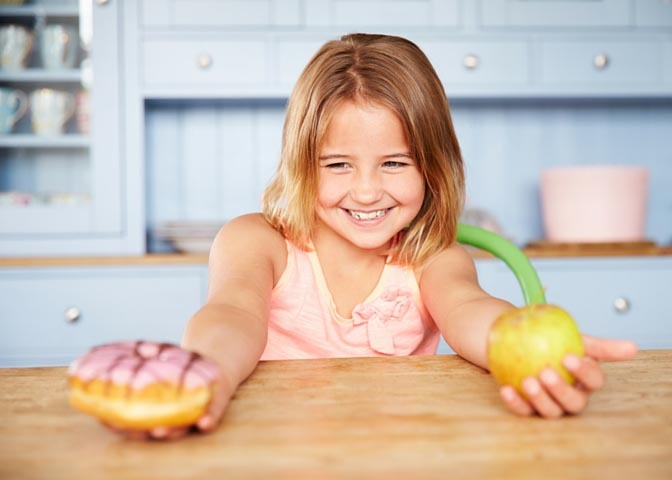 Of course some foods are better than others but we want children to have a positive relationship with food and not develop any disorders such as orthorexia. Mandy is an experienced Nutritionist, food scientist and writer with over 10 years experience in the Heath industry. 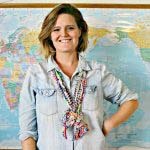 She has been part of the Healthy Mummy team of experts since 2012, writing informative and current blog posts and contributing to our recipe books. She has played an integral part in creating the recipes on our 28 Day Weight Loss Challenges since they first started in July 2014. Mandy is a mum of three and loves working for The Healthy Mummy, ”Especially on the challenges as I can create recipes which empower women to create nourishing food for themselves and their families’." Community This mum spent $200 and made 122 MEALS – that’s $1.60 PER MEAL! Community Mum spent six HOURS prepping meals for 12 weeks & it cost under $500! Thanks, I'll continue in this site.